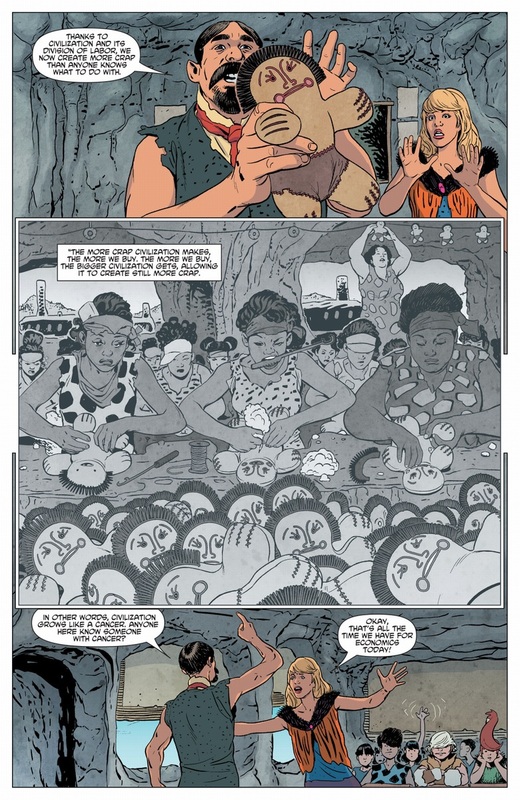 Flintstones 8, by Mark Russell and Steve Pugh. Not too surprising that this is apparently actually a maxi-series ending after a year. As good as it is, how many issues can you really get out of the concept? As social critique, the book doesn't target specific policies or practices so much as cornerstones of civilization itself -- not micro but macro -- and how manner of those are there before you run out? 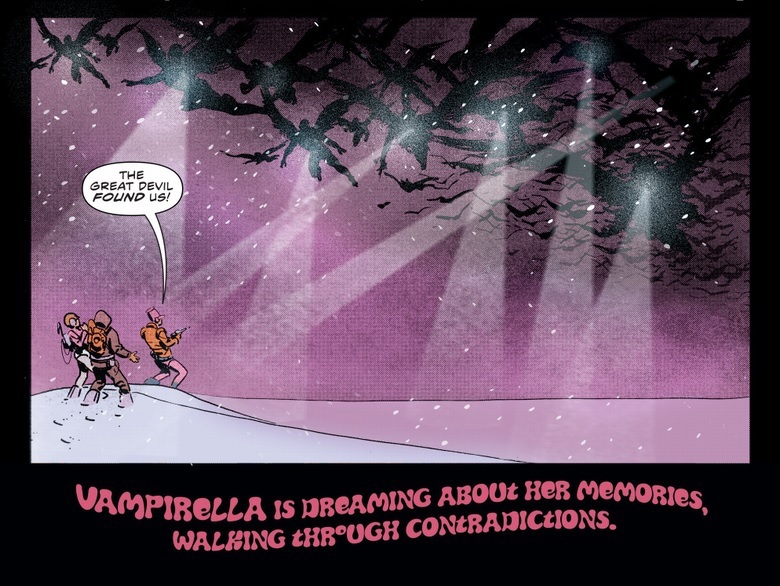 Vampirella 0, by Paul Cornell and Jimmy Broxton. Wow, this might be most promising launch issue I've read all year. 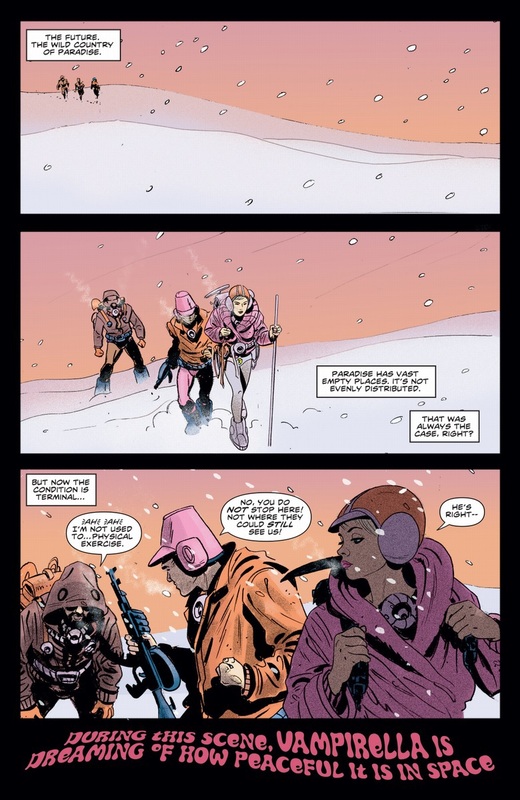 Very confident writing that's not afraid to take unorthodox tacks, and the art's aces. I always thought Jimmy Broxton was an underrated artist. Maybe now that he's on a very mainstream-y (in terms of tone) book and not more offbeat fare, he'll finally get his due recognition. Midnighter and Apollo 5, by Steve Orlando and Fernando Blanco. Has Neron always been portrayed so... dark? I was kind of under the impression that he's meant to be a bit of a de-fanged devil. Scary and capital 'e' Evil, but also fun and cheeky in his own way. But now that I actually think about it, that might have just been my imagination all along. Well, Neron's definitely darker here than he was in the JLA Christmas issue narrated by Plastic Man, where he was defeated by socks and underwear. He's always had a scary tinge, though. The Howard Porter art in his early appearances and some unusually visceral death scenes helped with that. 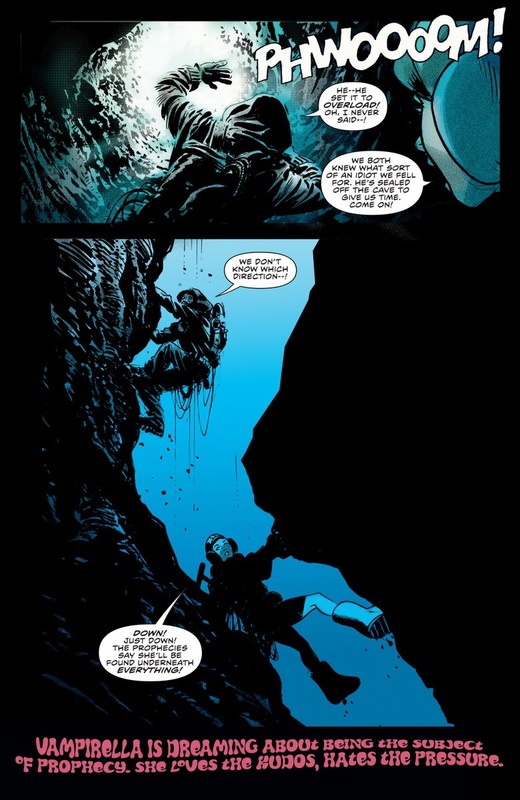 Was there meant to be a Midnighter and Apollo scan? 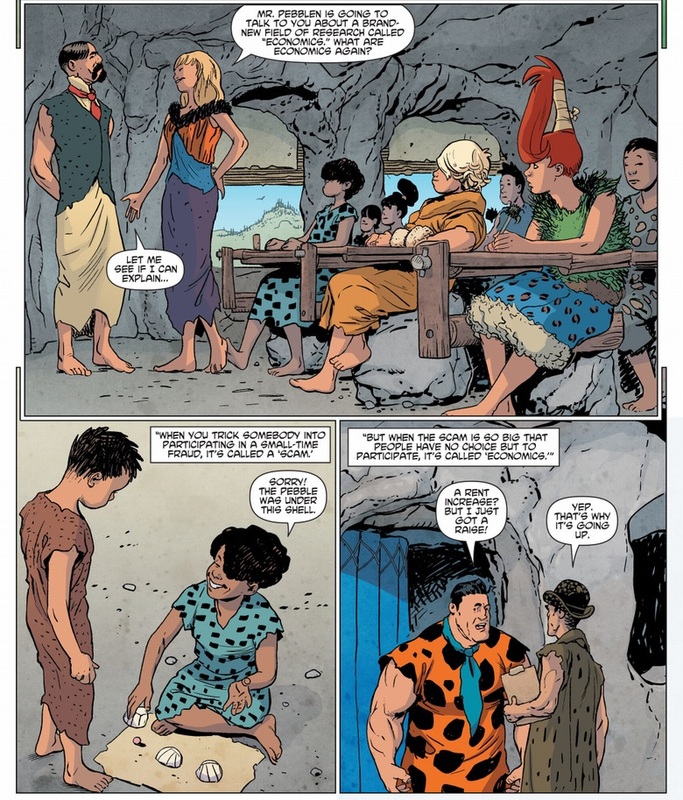 The Flintstones has lovely art. Makes me bitter about the comics I read with crap art. And yes, don't we all feel that way about prophecies? There was meant to be, yeah, but I couldn't decide which pages to post and just gave up.